Registered nurses (RNs) form the largest healthcare occupation, with more than 2.7 million practicing across the U.S. The field will experience faster-than-average employment growth of 19 percent over the coming decade. This will drive more than 500,000 new nursing jobs, with particularly high demand in general medical and surgical hospitals. Due to the rigorous demands of the job, the nation’s top hospitals prefer to hire talented RNs with at least a bachelor of science in nursing (BSN) degree. The BSN is required for higher-paying positions with greater responsibility, and it’s a prerequisite for most master of science in nursing (MSN) programs. There are more than 800 state-approved BSN programs across the country. A critical component of all prelicensure BSN programs is supervised clinical experience. Along with a comprehensive curriculum, this component helps students develop the wide range of medical, technical, critical thinking, and organizational skills needed to deliver high-quality healthcare. Graduates are prepared to work in a variety of settings including hospitals, skilled nursing facilities, outpatient centers, home health services, and offices of physicians. 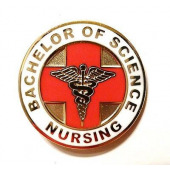 Offered primarily at four-year colleges and universities, the traditional BSN program requires four years of fulltime study and prepares its students to pass the National Council Licensure Examination for Registered Nursing (NCLEX-RN). The NCLEX-RN is a requirement for licensure in all states. RNs fulfill a broad range of critical tasks. On a given day, an RN might administer medications, monitor and operate medical equipment, establish care plans, teach patients how to manage their illnesses, record medical histories and symptoms, and perform diagnostic tests. To prepare students for these duties, BSN programs cover the basic areas of anatomy, physiology, microbiology, chemistry, nutrition, psychology, and social / behavioral science. They feature additional coursework in leadership, the physical sciences, critical thinking, and communication, as well as additional clinical experience in non-hospital settings. Students may also take specialized courses in pharmacology, therapeutics, acute and chronic illness, nursing research, child and family care, psychiatric and mental health problems, advanced nursing management, community health nursing, or gerontology. Admissions requirements vary by school but, in general, students must first gain full admission to the college or university. To enter the BSN program, students must meet certain GPA and prerequisite requirements. In many cases, they will have to pass a BSN entrance exam or the Test of Essential Academic Skills (TEAS). Applicants must also pass a background check, health and safety checks, and a drug and alcohol test. Tuition costs for BSN programs vary greatly by school. Since the BSN curriculum is longer and more in-depth, the program typically costs more than a hospital diploma or associate’s degree in nursing (ADN). BSN tuition ranges between $30,000 and $80,000+ for the entire program. State residents at public colleges and universities pay tuition on the low end of this scale. Regardless, the investment will pay off in the long run. RNs are among the highest-paid nurses in the healthcare industry, with a median annual salary of $66,000. BSN-educated RNs frequently earn top-quartile pay of $80,000 or more per year. The path to a successful registered nursing career begins with a degree from an esteemed school. Browse the directory on our website to find the best BSN programs in your local area.